We don’t outsource anything. All of our work is done by local experts in our Overland Park office. We have the expertise you need for SEO, AdWords Campaign Administration and Bing Ads Management. Stop by sometime and say hello and find out how we can help you. 21 Years of Experience, 500+ Clients, 4,000+ Websites. The expertise your company deserves. Many KC SEO providers talk a big game, but give their customers the run-around. Not us. SEOMike is a nationally recognized conference speaker with more than 20 years' of experience as a technical SEO. SEOMike was an SEO before Google even existed. All of our work is done right here by our staff in our Kansas City office. Stop by and have a beer with us sometime! Pay Per Click (PPC) campaigns are online advertising campaigns that require auction-style bidding for ranking. PPC is a great way to augment your ranking in the organic results. SEOMike has been working with PPC campaigns since before Google AdWords existed. We are Google AdWords and Bing Ads certified partners. We can get you the traffic and conversions your business needs. Does your WordPress site rank well? Is it slow and difficult to work with? Can you update your plugins without breaking your site? If your WordPress site is slow for you, it’s slow for Google. Site speed is a major consideration for ranking and slow sites don’t do well. Speed is only one part of the equation. We have the experience it takes to make WordPress sites rank well. A redesign is a big deal to Google. Google wants to see a new site that is at least as technically “good” as your old site. Some major considerations for a redesign include redirects, continuity of content, conversion considerations, site speed, and content structure. Your designer probably doesn’t have all that under control. Don’t rely on a web design firm to be your SEO – they’re not specialists. You deserve better. SEOMike Consulting is a reorganization of SEOMike’s previous company, Internet Marketing Resources which was started in 1997. SEOMike and his staff specialize in organic SEO, PPC Campaign Management, WordPress SEO, Website Redesign Consulting and Reputation Management. 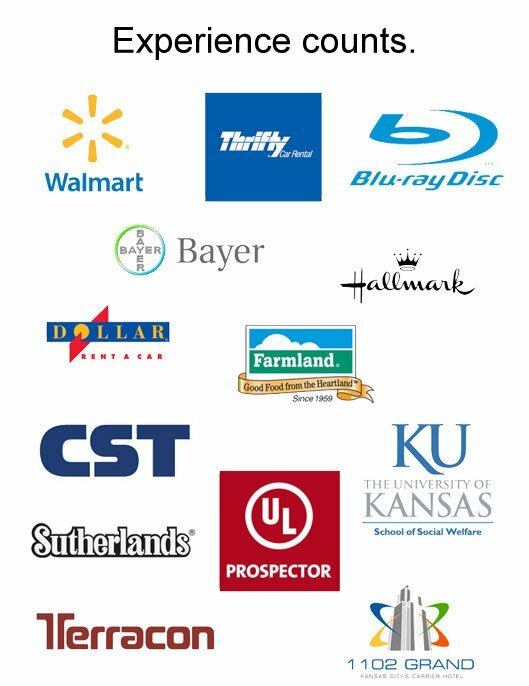 We've worked with companies throughout Kansas City, across the country and around the world. We are a boutique firm; SEO and PPC Administration is all we do. We have relationships with fantastic designers and coders, but we don’t have any on staff. This allows us to focus on what we do best: SEO. Our vast experience comes from working with over 500 clients with over 4,000 websites focused on customers all around the world. We’ve marketed everything from diamonds to door knobs and have loved every minute of it. Our main philosophy is to do what’s best for the user. We don’t write content for content’s sake. We believe in transparency in our efforts and take the time to make sure our clients understand exactly what we’re doing for them. Internet Marketing is all we do. It's not an add-on service, it's not our side-gig, we don't have a "guy" that does that, and we surly don't farm it out to Bangladesh! We are not distracted with design or development. Your company deserves a team of proper experts, not someone who "does" SEO as an add-on. When we say 20 years of experience, that's a bit of a short-sell. SEOMike alone has 20 years experience. That's over 41,600 hours of experience as a technical SEO, just in our company's leader. This is what sets SEOMike apart and makes him one of KC's leading SEO Experts. We've worked with over 500 clients selling everything from diamonds to door knobs. We've serviced manufacturing, heathcare, high-tech, service, legal, retail and construction industries. We have the experience to deliver results. We've got enough experience with SEO and SEM that it's a second language to us. We are dedicated to helping our clients understand what we do for them in plain, clear english. No "magic", no "pie-in-the-sky" plans. Just clear, honest measureable work. Have a hard time measuring the success of your online campaigns? We don't. Our regular reports show the exact impact of our work to help you understand the effectiveness of our efforts and communicate those successes internally. Our team has what it takes to get your local business more traffic, more leads and more sales. We provide highly-targeted local SEO and PPC services. We specialize in Kansas City SEO, but have the expertise it takes to get you ranked in your home town. Are your potential customers spread across the entire nation? It takes a skilled and experienced SEO to achieve top rankings against a nation full of competitors. Count on an SEO Expert with over 20 years of experience. We have the experience it takes to succeed with international SEO. We've owned top rankings for extremely competitive keywords around the world. Let us help you reach heights in the international search results. No high-pressure sales teams. No spam emails or newsletters. No drip campaigns at all. Just answers.